The challenges are vast in terms of governmental supervision and action to render the peace process a success. Taking into account that a part of the country’s budget and efforts will be intended for this process, it is necessary to remember that other factors cannot be overlooked, as they too could vitally affect the nation’s well being and stability. In this respect, a new variable has entered the equation: the current massive migration of Venezuelans into the country. Calculating the total number of people moving to Colombia is not an easy task, as there are several different groups of migrants. There are Colombians returning to the country, Venezuelans moving to Colombia, people who just cross the border frequently to work, buy medicine or visit family but still live in Venezuela, and the final group is simply in transit through Colombia. For this reason, the Colombian government has taken different measures to welcome migrants into the country; its position is not alarmist, as the government does not think the massive arrival will affect the economy. Still, to analyze what policies are appropriate to receive immigrants, the government needs to have some kind of an estimate of who is moving into the country to stay. According to the Colombian newspaper El Tiempo, there are different reports on the number of Venezuelan migrants freely moving in the country: the migration institution Migración Colombia reported 40,000 legal and estimates 60,000 undocumented immigrants by March 2017, while Iván de la Vega, a sociologist expert in Venezuela, and his colleagues of the International Migration Lab (Laboratorio Internacional de Migraciones, LIM) reported that 900,000 Venezuelans have arrived to Colombia in the last 20 years, including those with dual nationality. [vi] The estimates vary enormously depending on the inclusion, or not, of citizens with dual-nationality and individuals who move to the country illegally into the calculations. The specific number of illegal Venezuelan immigrants arriving to Colombia is unclear, as it includes those who cross the border at non-authorized crossing points and those who enter legally but stay in the territory more than the allowed 90 days. Christian Krüger, Director of Migración Colombia, gives an estimate of 150,000 people who stayed after the allowed 90 days by July 2017. 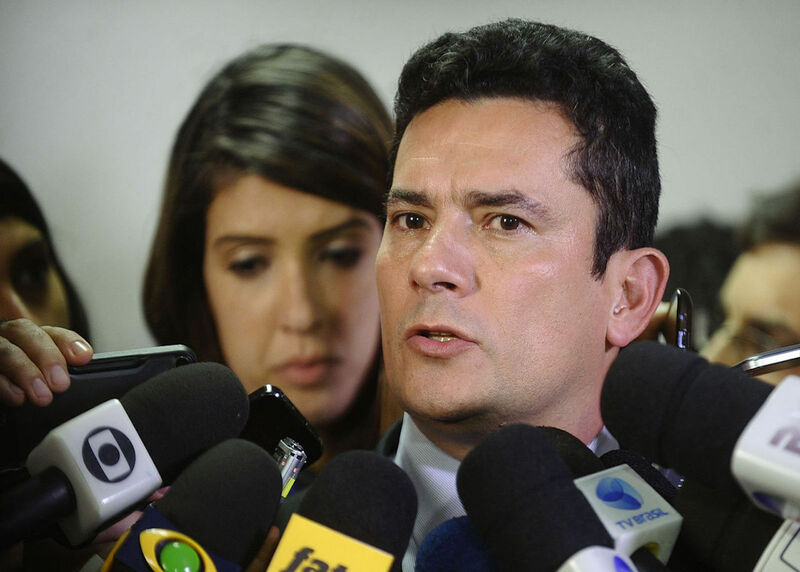 [vii] One of the actions recently taken by the government to make the migration process sustainable was to give Venezuelans, who were in Colombia by that time, residence authorizations called Special Permanence Permission (Permiso Especial de Permanencia; PEP). With these permits, Venezuelans can stay in the territory for up to two years, and those 150,000 illegals can now legalize their situation. [viii] Krüger affirms that more than 22,000 permits were issued within the first 24 hours. The target of the PEP is to give flexibility to migratory law. Although this initiative is an important step towards a flexible migratory process, it does not benefit immigrants who entered the country illegally. 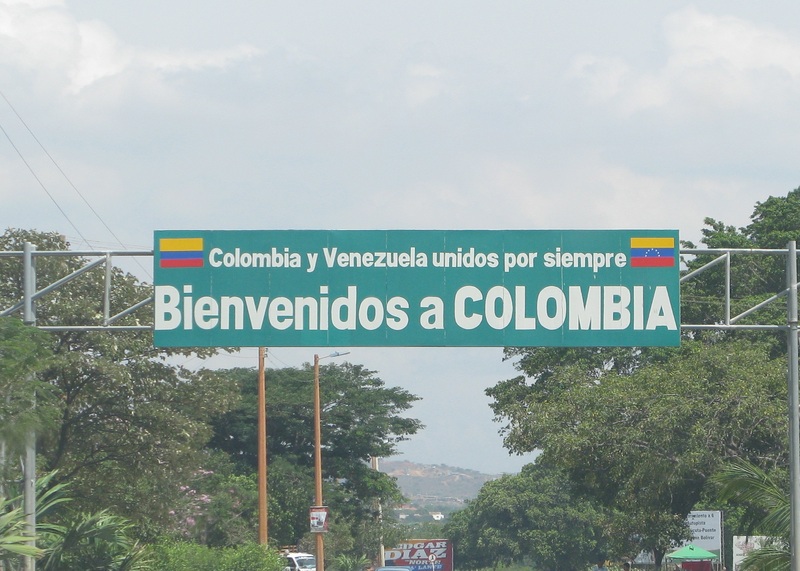 Another Colombian initiative was to organize the process for those who regularly cross the border but still have permanent residence in Venezuela. For that purpose, they created the Border Mobility Card (Tarjeta de Movilidad Fronteriza; TMB) to determine who is crossing and why. [ix] The TMB helps to speed the process of crossing the border and generates statistics of who is passing and why. With the PEP and TMB, it may be possible to obtain more accurate statistics on the number of people who are moving into Colombia, but the problem remains as there is no way of estimating the number of people who enter the country with dual nationality. An estimate can be made by noting the increase in the number of people applying to the health and educational systems, but there is no guarantee that the immigrants may enter the system with some sense of permanency. Furthermore, illegals whose legal status was not solved due to their unauthorized way of entering the country are still facing conflicts. The government’s biggest challenge so far is to examine the situation as carefully as it did with the reinsertion of FARC members into Colombian society. This means that new socio-economic policies should be applied in order to enable immigrants to get jobs and stabilize their situation, while preventing a rise in unemployment and economic insecurity. If the government cannot entirely control the economy in the short term, there would be a false impression of immigrants destabilizing the national economy. Therefore, promoting job creation and keeping a positive development tendency is crucial to prevent xenophobic and racist actions against immigrants. The experiences of other countries provide an idea of what to do, and what not to repeat. Regarding the different views toward immigration, politicians can take advantage of the association of immigration and destabilization to promote anti-immigration policies and earn the public’s trust. One example of this is that of the U.S., where current President Donald Trump proposed to build a wall dividing Mexico and the United States to stop the influx of illegal immigrants, a very popular idea that, among others, helped to catapult him all the way to the White House. With the presidential elections in Colombia in 2018, the first dialogues regarding immigration are crucial, as there are several positions that can move the Colombian people’s fervor. Candidates are still forming alliances and defining their position on a future immigration policy, relations between Colombia and Venezuela, and how to implement the Peace Agreement. Their proposals on these topics will determine who could lead the race to win the presidency, and the popularity of anti or pro-immigration laws will be further tested in the polls. One of the reasons that immigrants are generally unpopular is the demonstrably false idea that they “steal” the jobs of the citizens, raising unemployment rates and decreasing the quality of daily life of the natives. In a country unaccustomed to immigration, as Colombia is, this idea could spread fast creating a tidal wave of misinformed feelings towards Venezuelans. However, as a matter of fact, it is necessary to understand that those who are arriving cannot be grouped into one single category. The United States again provides an example of how this process has worked out in the past. According to The Economist, the migration fluxes from Latin America to the United States include “middle-class, educated workers, as well as the poor. This brain drain has increased anxieties that Latin America is losing some of its most productive citizens”. [x] An incorrect association usually made is that migration implies unskilled labor who arrive in search for better life conditions. There is a tendency to overlook the fact that the hosting country might also be receiving skilled people who could benefit the economy. The groups of people who are emigrating from Venezuela are not just those coming from the lowest socioeconomic class and not just those in the upper one. The aforementioned article from El Tiempo describes three migration waves from Venezuela to Colombia: the first one included businessmen attracted by the economy, the second one consisted of entrepreneurs, including those who used to work in the Venezuelan Oil Company PDVSA, and the third one professionals. The current migration is be the fourth wave and it includes Colombians returning to the country as well as groups of Venezuelans from all social classes and with different backgrounds. The Colombo-Venezuelan Chamber of Commerce affirms that migration of Venezuelans does not affect employment, but on the contrary, can be beneficial as entrepreneurs arrive with new business ideas, generating more employment opportunities and incentives for the development of the country. [xi] The impact comes as well in the form of foreign investment, as the legal framework is adjusted to welcome projects from other countries. The influx of immigrants can generally be overwhelming for Colombians more because they are not used to it than because the economic effects are negative. Nevertheless, not everything has been good news while welcoming the neighbors. Local authorities have found illegal immigrants working for companies for very low wages and under low-quality conditions. [xii] Here again, we can learn from the situation in the United States where one of the main critiques to immigration issues is the preference that many companies have for illegal workers. As no laws support those workers’ rights, companies take the chance and pay them less than the minimum legal wage. Reducing production costs increases a given company’s profit margins, generating an economy based on cheap labor and competitive prices. In this regard, the PEP measure taken by Colombia represents two distinctive benefits, since illegal immigrants can apply for a permit and subsequently be covered by the law. 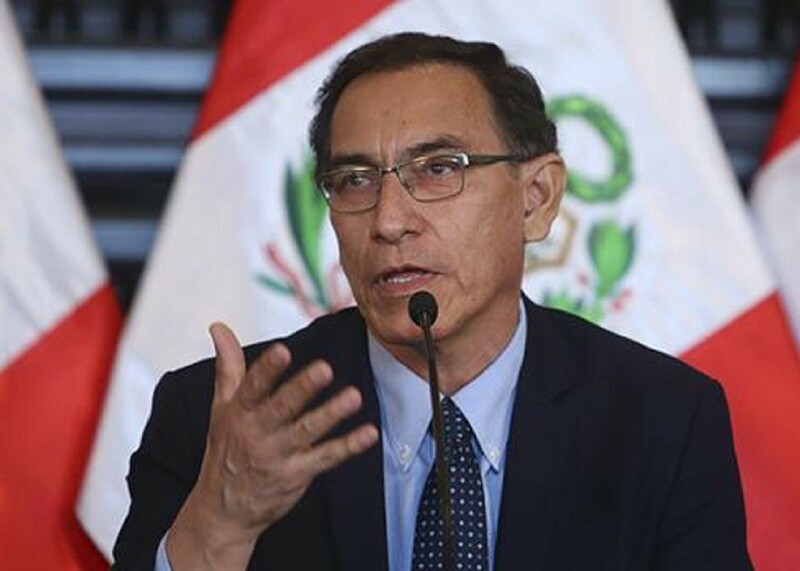 The problem remains for those who do not fulfill the general requirements for applying to the PEP, which are to have entered the country legally, not having a criminal record, being in Colombia by the time the permits started applying and not being subject to deportation measures. Still, Colombia’s effort positively improves the living standards of those who arrive. An economy based on illegal workers is beneficial for companies that want to reduce their costs, but at the same time, there is a social cost; individuals living in less-than-appropriate conditions can result in greater future fiscal expenditure while tax payments remain static. The three mentioned issues can be summarized into politicians taking advantage of xenophobic feelings, grouping immigrants into a single category and companies taking advantage of illegals. Learning by doing will demonstrate the government’s readiness to react to an externality such as immigration, but learning by example can prevent problems from reaching an unsustainable level where a wall can sound like a viable solution. The challenges to come include maintaining public awareness regarding the processes of immigrant integration, especially to avoid categorizations and alienation. As different as the cultures are, Venezuela and Colombia share more than a border, there is shared history, language, and traditions so it is in the government’s hands to remind its citizens of this. Based on the experience of other countries like the United States, it can be argued that Colombia is implementing an effective immigration policy by providing solutions for undocumented people and for those frequently crossing the border. As good as these policies might be, they are not enough without an enhanced capacity to encourage asserted government programs able to foment job creation, and a more stable economy. Yet, the biggest challenge that remains is the imminent 2018 change in administration, as the subsequent political campaigns may divide the country and its citizens. No country is prepared for a massive sudden immigration surge, including Colombia. The question is how fast can it react in order to make it into an opportunity instead of a problem? As far as one can see, Colombia has been generously welcoming to Venezuelan immigrants, but after they arrive, they are more or less left to their own devices. The situation has to be more effectively targeted than at the present time; otherwise, it could spin out of control. In a country like Colombia, unaccustomed to accommodate such a large number of migrants, along with disorganized institutions and endemic corruption, it could be a pleasant surprise to find a positive economic impact out of the vast waves of immigrants. iii Paez, Tomas. “Amid Economic Crisis and Political Turmoil, Venezuelans Form a New Exodus.” Migration Policy. July 06, 2017. Accessed August 23, 2017. http://www.migrationpolicy.org/article/amid-economic-crisis-and-political-turmoil-venezuelans-form-new-exodus. iv C, Valentina. “Migración venezolana: ¿cuántos se han ido y hacía dónde?” VIX. May 13, 2017. Accessed August 23, 2017. http://www.vix.com/es/ciudadanos/176679/migracion-venezolana-cuantos-se-han-ido-y-hacia-donde. v Enrique Melendez. “Casi 2 millones de venezolanos han emigrado en los últimos 17 años.” Noticiero Digital. June 30, 2016. Accessed August 23, 2017. http://www.noticierodigital.com/2016/06/tomas-paez-cerca-de-dos-millones-de-venezolanos-han-tenido-que-emigrar-al-extranjero/. vi El Tiempo. “Venezolanos, la migración más grande en la historia del país.” El Tiempo. March 30, 2017. Accessed August 23, 2017. http://www.eltiempo.com/colombia/otras-ciudades/venezolanos-la-migracion-mas-grande-en-la-historia-del-pais-72872. vii AFP. “Migración Colombia: Hay 150.000 venezolanos ilegales en el territorio.” El Nacional. July 25, 2017. Accessed August 23, 2017. http://www.el-nacional.com/noticias/mundo/migracion-colombia-hay-150000-venezolanos-ilegales-territorio_195047. viiiMigracion Colombia. “MÁS DE 22 MIL VENEZOLANOS SACARON SU PEP DURANTE LAS PRIMERAS 24 HORAS DE VIGENCIA” Accessed August 23, 2017. http://www.migracioncolombia.gov.co/index.php/es/prensa/comunicados/comunicados-2017/agosto-2017/5137-mas-de-22-mil-venezolanos-sacaron-su-pep-durante-las-primeras-24-horas-de-vigencia. ix Palomino, Sally. ““Es imposible parar la migración de venezolanos hacia Colombia”.” EL PAÍS. May 08, 2017. Accessed August 23, 2017. https://elpais.com/internacional/2017/05/06/colombia/1494033011_506396.html?rel=mas. x The Economist. “Making the most of an exodus.” February 23, 2002. Accessed August 23, 2017. http://www.economist.com/node/999559. xi Camara Colombo Venezolana. “Migración de venezolanos no afectaría el empleo.” Comvenezuela. Accessed August 23, 2017. http://www.comvenezuela.com/noticias/177-migracion-de-venezolanos-no-afectaria-el-empleo. xii LEONARDO HERRERA DELGHAMS. “En Barranquilla, aumentan los contratos ilegales de venezolanos.” EL TIEMPO. March 30, 2017. Accessed August 23, 2017. http://www.eltiempo.com/colombia/barranquilla/venezolanos-estan-siendo-contratados-en-barranquilla-de-forma-ilegal-73072.